If you're tired of the same old investment advice - such as 'be patient', 'invest for the long term', and 'diversify' – then this book is for you. Robert explains in detail the power of leverage: How to leverage your mind, your financial plans, your actions and, most importantly, your first steps to becoming fianancially free. My previous books were on the power of cash flow. 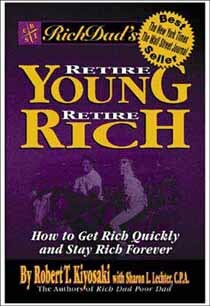 Rich dad said, "Cashflow is the most important word in the world of money. The second most important word is leverage." He also said, "Leverage is the reason some people become rich and others do not become rich." Rich dad went on to explain that leverage was power and power can work in your favour or against you. I am very happy to be finally bringing this book to you. This book will definitely explain why I believe all of us already have the power and potential to be very rich ... and I do mean all of us, not just some of us.